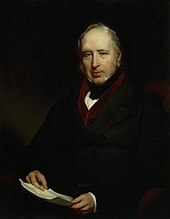 Sir George Cayley, 6th Baronet, discovered fundamental principles of aeronautics. An independent scientist (modern gender-neutral term historically also known as gentleman scientist) is a financially independent scientist who pursues scientific study without direct affiliation to a public institution such as a university or government-run research and development body. The expression "gentleman scientist" arose in post-Renaissance Europe, but became less common in the 20th century as government and private funding increased. Most independent scientists have at some point in their career been affiliated with some academic institution, such as Charles Darwin, who was affiliated with the Geological Society of London. Self-funded scientists practiced more commonly from the Renaissance until the late 19th century, including the Victorian era, especially in England, before large-scale government and corporate funding was available. Many early fellows of the Royal Society in London were independent scientists. Self-funding has the disadvantage that funds may be more restricted; however, it has the advantage of eliminating a number of inconveniences such as teaching obligations, administrative duties, and writing grant requests to funding bodies. It also permits the scientist to have greater control over research directions, as funding bodies direct grants towards interests that may not coincide with that of the scientist. Furthermore, intellectual property of the inventions belongs to the inventor and not the employer. Modern science requires competence and may require access to scientific equipment. However, independent scientists may have past careers as funded scientists, cooperate with funded colleagues, obtain partial equipment-only grants or choose directions where the most expensive resource required is the researcher's time. If the research succeeds, independent scientists may publish results in the same peer-reviewed journals as funded scientists do. Scientists may choose to work on unusual projects with high risk of failure also when the grant system does not fund them. A scientist could be attributed the status of independent scientist if they work on such projects during a gap between two academic positions, for example. Modern-day independent scientists who fund their own research on an independent basis include, for example, Stephen Wolfram who funds his research through the sale of Mathematica software, Julian Barbour, Aubrey de Grey, Barrington Moore, Susan Blackmore, James Lovelock, and John Wilkinson who funds his research on "molecular synergism in nature" by running a regulatory scientific consultancy in natural products. Peter Rich said of Peter D. Mitchell: "I think he would have found it difficult to have gotten funding because his ideas were rather radical." Mitchell went on to win the Nobel Prize in Chemistry in 1978. Chemist Luis Leloir funded the research institute he headed, the Institute for Biochemical Research, in Buenos Aires, Argentina. He won the Nobel Prize for chemistry in 1970. There are today several virtual research institutes for independent scientists. ^ a b Susan Blackmore (Oct 24, 2008). "Solo Science: Tinkering Outside The Tower". More Intelligent Life. Retrieved 2012-06-01. ^ "All Nobel Prizes in Chemistry". Nobelprize.org. Retrieved 2012-06-01. ^ Dance, Amber (2017-03-30). "Flexible working: Solo scientist". Nature. 543 (7647): 747–749. doi:10.1038/nj7647-747a. ^ "Robert C. Edgar - Google Scholar Citations". Retrieved 2 May 2016. Martello, Robert (2000). "The Life and Times of Sir Goldsworthy Gurney: Gentleman Scientist and Inventor, 1793-1875 (review)". Victorian Studies. 42 (4): 688–90. doi:10.1353/vic.1999.0020. Porter, Dale H. (1988). The Life and Times of Sir Goldsworthy Gurney, Gentleman Scientist and Inventor, 1793–1875. Lehigh University Press. ISBN 978-0-934223-50-8. Cohen, J. (1998). "RESEARCH FUNDING: Scientists Who Fund Themselves". Science. 279 (5348): 178–81. Bibcode:1998Sci...279..178C. doi:10.1126/science.279.5348.178. PMID 9446224. Keats, Jonathan (5 December 2007). "Craig Venter is the future". Salon.com. Archived from the original on 7 March 2008. This page was last edited on 17 April 2019, at 16:34 (UTC).